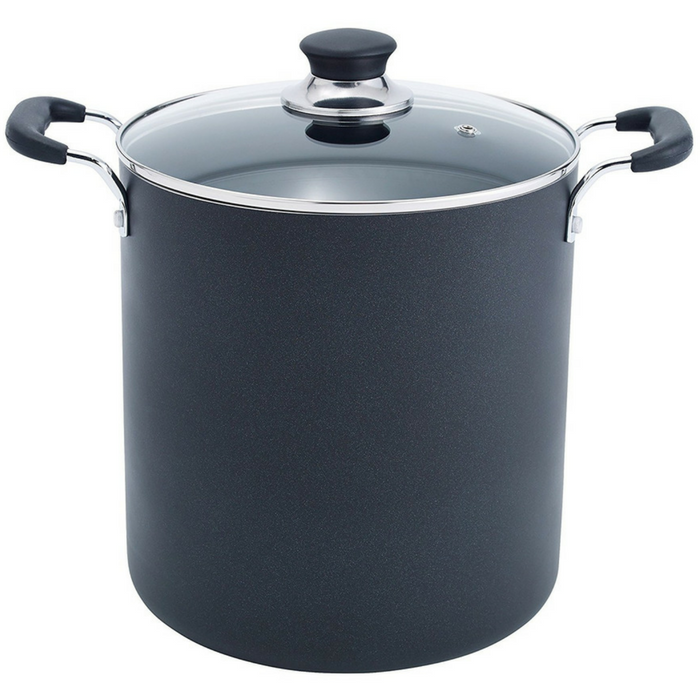 T-Fal 12-Quart Stockpot Just $29.99! Down From $80! PLUS FREE Shipping! You are here: Home / Great Deals / Amazon Deals / T-Fal 12-Quart Stockpot Just $29.99! Down From $80! PLUS FREE Shipping! At Amazon, you can get this T-Fal 12-Quart Stockpot for only $29.99 down from $79.99 PLUS FREE shipping! The 12 quart capacity is perfect for cooking delicious, large family meals. The high quality nonstick interior and exterior coating makes cleaning easy and quick. The total nonstick construction delivers even heat distribution for reliable cooking results. The riveted handles are sturdy and comfortable to grip. The see through glass lid with a steam vent makes it easy to monitor foods and release the steam properly while cooking.